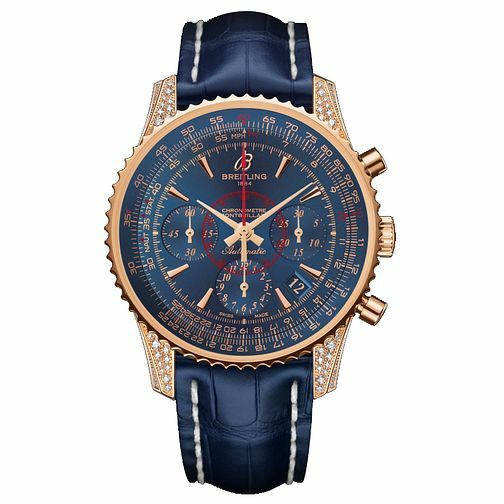 Endowed with a look inspired by the 1940s and 1950s and featuring the famous aviation slide rule, the Montbrillant 01 chronograph is equipped with the high-performance Manufacture Breitling Caliber 01. Featuring an 18ct rose gold case with diamond set details. With a power reserve of 70 hours, bi-directional bezel, and a stylish blue dial and matching leather strap.